Once again, it’s time to look back over the year’s reading, and see how things went. For me, I had a pretty good reading year, if a little hurried in places. I read a bit more than I wanted, but I also found some real gems, so it all evened out. 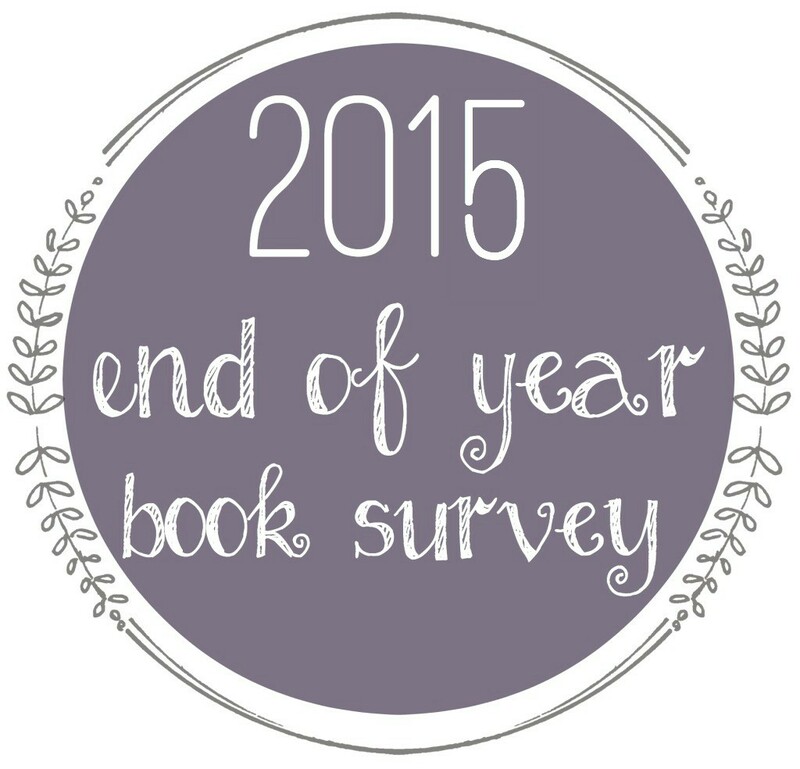 As usual, I’m participating in the end-of-year book survey from Jamie at The Perpetual Page-Turner, with an additional section at the end for my 2015 book stats! Also as usual, I apologize in advance for the super-long post! Note: I did not include rereads in my answers for this survey. 1. 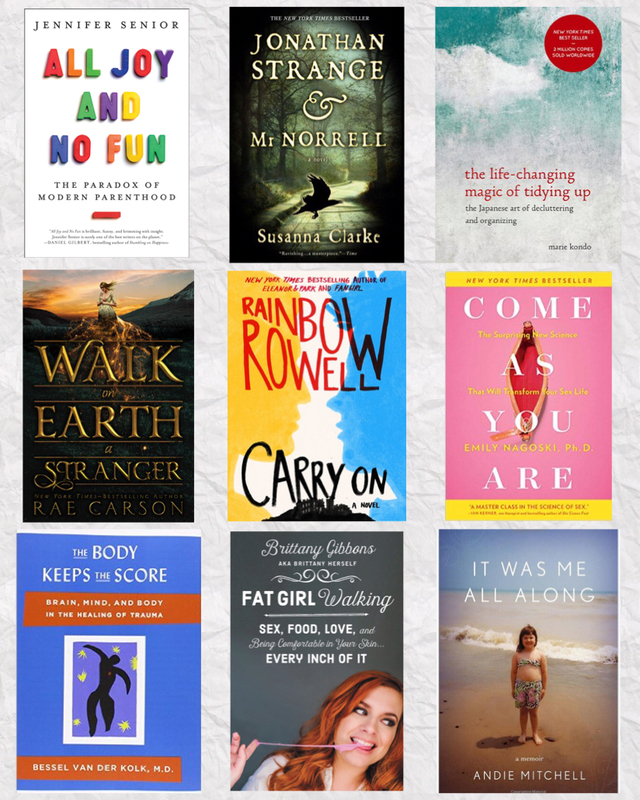 Best Book(s) You Read In 2015? 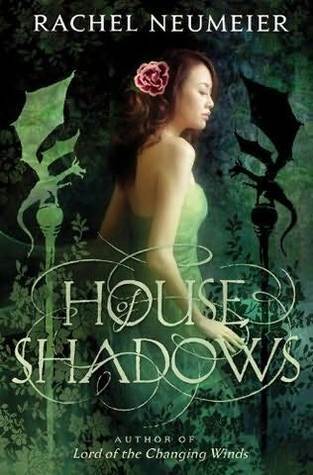 Shadows of Self by Brandon Sanderson – I didn’t enjoy the first book of this series as much, so I was surprised by how fantastic this one was! Um, is there any doubt here? The Life-Changing Magic of Tidying Up. I can’t name one specifically. I read so many new-to-me authors this year, and many of them only have a single book out. Too early to say if any of them will become favorites. Once again, The Life-Changing Magic of Tidying Up. I think this is the first self-help book I’ve ever read. I usually avoid the genre like the plague. None in particular, unless it’s to catch up on a series. Winter (from Winter by Marissa Meyer). She was amazing. This is again a very difficult thing to narrow down. I read some really life-changing and/or thought-provoking nonfiction this year. Rather than reiterate my favorite nonfictions for the year, though, I’m going to give this one to Maggie Stiefvater’s Raven Prophecy Tarot instruction manual (Illuminating the Prophecy). I’ve studied tarot for years, but only after reading Stiefvater’s book did it actually become clear and easily readable. Transformed my tarot-reading completely! Middlemarch by George Eliot – so many people told me I wouldn’t like it, but I really did! Vanishing Girls by Lauren Oliver, because the twist was not the twist I was expecting, and The Shadow Cabinet by Maureen Johnson, because OMG THERE’S A FOURTH BOOK I HAVE TO WAIT FOR A FOURTH BOOK??? I was not expecting that. None this year, I don’t think. Can I say I have a fangirl crush on Brittany Gibbons (Fat Girl Walking)? I read nine 2015 debuts this year, five of which were nonfiction (including three listed under #1). 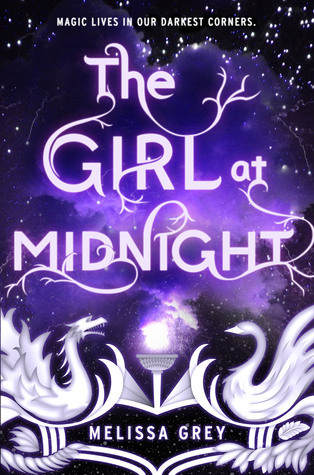 Other than the nonfiction favorites, the best 2015 debut would be The Girl at Midnight by Melissa Grey. Nekropolis by Maureen McHugh had some of the most fascinating worldbuilding I’ve ever read. Well, the Raven’s Prophecy Tarot by Maggie Stiefvater didn’t make me cry directly, but because of it, because of the way it helped me to understand tarot far better than I used to, I ended up sobbing over several tarot spreads. Also, two psychological nonfiction books (The Body Keeps the Score and Elena Vanishing) caused quite a lot of weeping. Firstborn by Lorie Ann Grover – more people need to read this one!! Choose Your Own Autobiography by Neil Patrick Harris, and S by JJ Abrams and Doug Dorst – both had incredible formatting and non-linear staging, and were fun mental gymnastics! Both Wildalone by Krassi Zourkova and Her by Harriet Lane started with such promise, and then ran into issues that really made me angry. Both were kinda ruined for me. Rather than answering questions, let me just say this: I have 28 books on my priorities list for 2016, between upcoming releases and books on my TBR/to-investigate lists. Of those, 12 are guaranteed reads (even if they don’t get read this year). I look forward to either reading or culling those books, and otherwise, I plan to read languidly this year. Indulge in rereads and longer reads and slow audiobooks. I want to be pickier than usual when it comes to adding books to my to-investigate and to-read lists. There were too many books this year (more than 20!) that I barely remember, that I read just to read. I got out of that habit a few years back, and allowed myself to fall back into it this year! I’d rather not continue that going forward. Note: My stats are a bit more extensive than the ones from Jamie’s survey. I read a bit more than I wanted to this year, up from last year’s 53, but given how many wonderful reads I got from it, I’m okay with that! These are about standard for me at this point, I think, though I have a feeling my classics might increase in the near future. I’m feeling a potential mood shift. Maybe. Most read authors: Maggie Stievfater, with seven books (four new, three rereads). 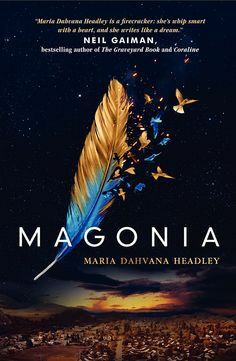 Other than her, I only read more than one book from four authors this year: Brandon Sanderson, Rae Carson, Rainbow Rowell, and Marissa Meyer (two each). I love that my shortest title has a single letter in it, whereas my longest has 16 words. Ha! Another fun fact: Without planning it or trying for this in any way, I read titles that began with every letter of the alphabet except K, X, Y, and Z. Best Book-related Discovery: Psychological nonfiction. Enough said. This entry was posted in Book Talk and tagged end of year. Bookmark the permalink. You had a great reading year! I loved The Life-Changing Magic too and I need to read Carry On! I just posted my survey as well. This is the first year I tracked things like male/female authors, pages read, etc. It was fun to see the end results! Carry On! is so good!!!!! I reread it this month just because I wanted something fun and huggable. That was definitely a hugging book. I need to read Carry On so badly! I loved Fangirl but still haven’t even gotten around to purchasing the companion. It’s so very good, though the excerpts from Fangirl are not in it. It’s a standalone, only tangentially related to Fangirl. I loved both books, though, and I think Fangirl warmed me up for Carry On. I really liked Walk on Earth a Stranger too. I hope we don’t have to wait forever for the next book. There’s a tentative publishing date of 2016, so I hope not either! Huh. I think I might have heard something about that Life-Changing Magic book before, I think ;). 30 books? Whoa. I think I have about 10, maybe. Fun list! I haven’t read the Tidying Up book but I feel like I have given how much everyone is gushing over it. It’s been years since I reread a book and I’m making it a goal this year. Happy reading!